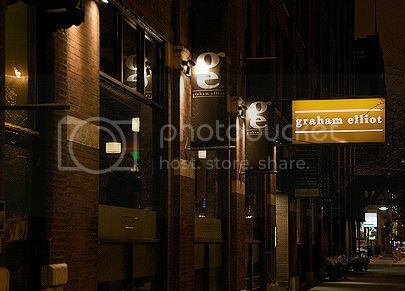 Chicago's Best Dining, Drinking, Cuisine & Cocktails | 312 Dining Diva: What Is Going On Over At Graham Elliot's?! The River North restaurant is closed on Mondays and Tuesdays, so hopefully everyone will have a chance to cool off before it reopens Wednesday . . .
UPDATE: The restaurant placed an ad on Craigslist early Monday for lines cooks/chef de parties. SECOND UPDATE: Executive Chef Andrew Brochu is no longer at the restaurant. Is Michael Simon going to be back as Sheriff ? Re: Michael Simon... GE should be so lucky! Gee, Mr Simon seemed quite happy at Carriage House this last Saturday. Then again, so did Drew when I saw him at BOKA the prior Monday?